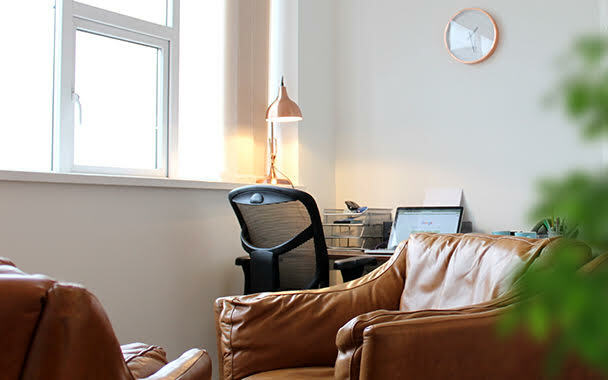 The Consultant’s Suite at Director General’s House is a dedicated office suite providing therapy professionals and their clients with a private and calming space to meet. Located within our newly renovated business centre in Southampton’s Northern quarter, our new therapy room offers a professional yet serene setting for a range of practitioners. Inside, the room is temperature controlled with plenty of natural light and good ventilation. It’s been decorated with neutral colours to evoke calm and to ensure the comfort of our clients and their visitors. 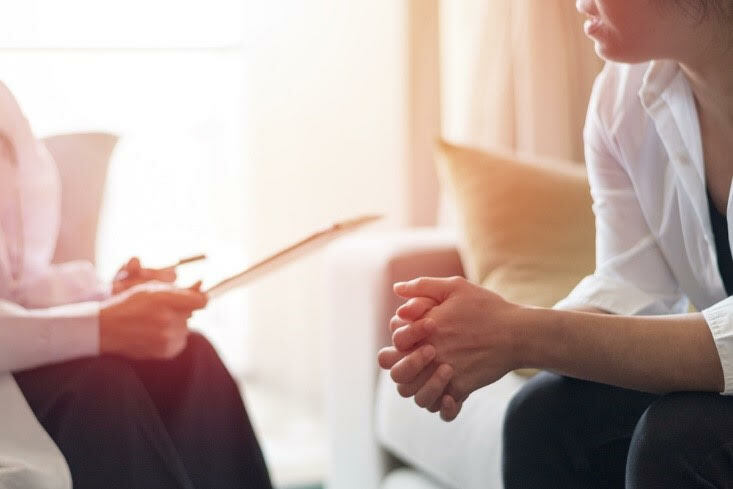 The Consultant’s suite is fully furnished with everything you might need to conduct a session – including a desk, table and floor lamps, a hypnotherapy chair and treatment couch. Other facilities include private lockers for the storage of confidential files and a white noise sound conditioner programmed with a range of sounds to prevent intrusive noise and encourage focus. There’s also free WiFi, tea/coffee making facilities, as well as both on and off-street parking for the convenience of all our visitors. Find out how to hire our therapy room below. Our therapy room is available to rent on an hourly basis. Hours of operation are from 7am – 9pm, 7 days a week. To use The Consultant’s Suite we charge an annual membership fee of £15 + VAT. After joining us, you’ll be able to book this therapy room at an hourly rate of just £10 + VAT throughout the year. If you’re looking to book The Consultant’s Suite at Director General’s House for the first time, please sign-up here. The easiest way to book time in our therapy room is via our Passport app. Apple users can download the app via the Appstore whilst Android users will be able to download this via the Play Store. If you have any questions about The Consultant’s Suite or would like assistance with booking, please email us here or call on 01727 260 177.